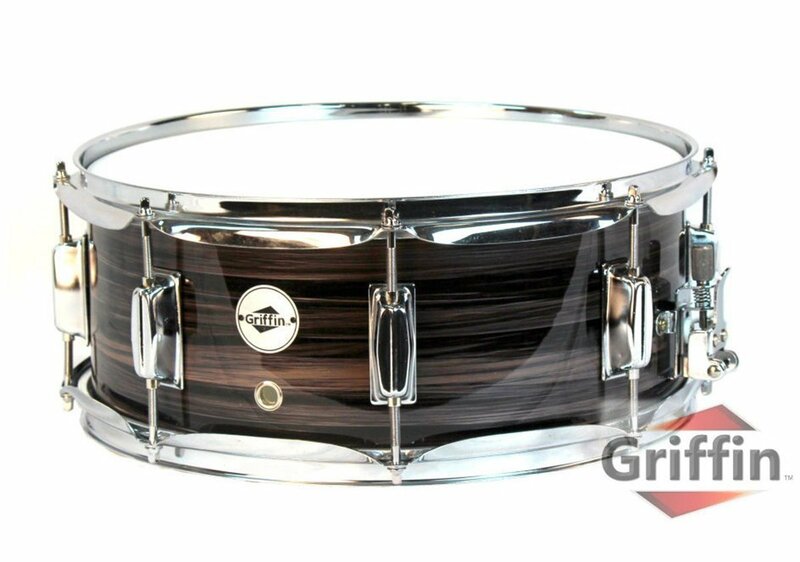 Upgrade Your Percussion Kit with a Deluxe Zebra Wood Snare Drum by Griffin! 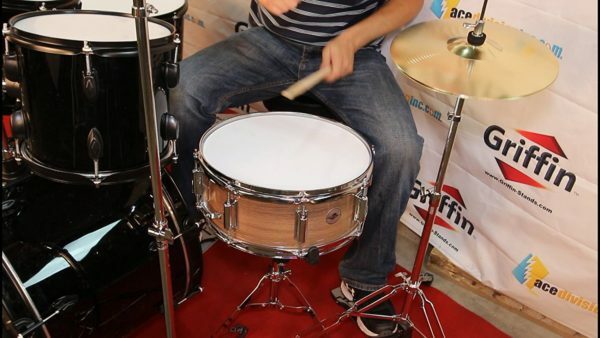 Have you been searching for a modern, elegant looking snare drum to compliment your drum kit? Is it time to replace your old snare, but you dont want to spend a fortune to get the quality you desire? Combining exceptional craftsmanship with a gorgeous design, this top quality snare drum will make an excellent addition to any drummers kit. Suitable for beginners, students or professional musicians, this is a deluxe snare drum that wont let you down. And the best part? It comes with a jaw-dropping price tag that you wont find anywhere else! 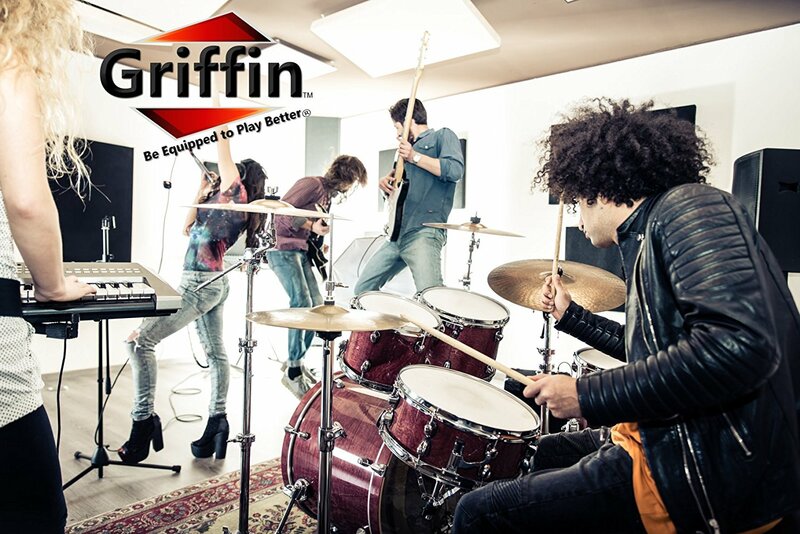 Perfect for rock, metal, blues, gospel, funk and more! Could you afford to miss this opportunity? Order Yours Today and Add That Punchy, Brilliant Sound to Your Snare Attacks! Scroll Down and Click Add to Cart Now, Before Theyre Gone! ACHIEVE THAT BRILLIANT ATTACK YOU’VE BEEN CRAVING: Have you been looking for that perfect sounding snare drum that would offer you a brilliant, powerful crack with beautiful overtones? Well, your search is finally over! Boasting a 3-ply, 7.5mm, 100% poplar wood construction, this snare drum will match any music style including rock, metal, funk, gospel or even pop and give that punchy, penetrating sound you’ve been looking for, perfectly complimenting your playing. UPGRADE YOUR DRUM KIT’S STYLE: Its exquisite, Zebra Wood shell wrap with simple, high-gloss finish that is simply gorgeous to look at and the unrivalled craftsmanship make this deluxe musical instrument a worthy addition to any drummer’s collection. An excellent choice for beginners, students or professional musicians, this 14″ x 5.5″ snare drum can be easily used as a primary or secondary snare. Drum head top: White coating. Drum head bottom: clear. CLASS-LEADING THROW OFF: Equipped with a top notch, smooth and quiet drum throw off that promises flawless operation and a fluid movement every time, this drum throw off will allow you to easily tighten, loosen or mute the snares according to your preference, without failing or locking up! Specifications: Snare wire: 20 strand. Hardware finish: Chrome. Gross weight: 6 pounds. MORE TUNING LUGS FOR EXCELLENT SOUND: The percussion hardware includes a drum key, as well as 8 very durable tuning lugs that promise a much more stable and higher quality sound compared to six lug drums, allowing you to achieve excellent sound in even the lowest tuning option. GET IT WITH CONFIDENCE: We back this Griffin snare drum by a 1 year replacement warranty. 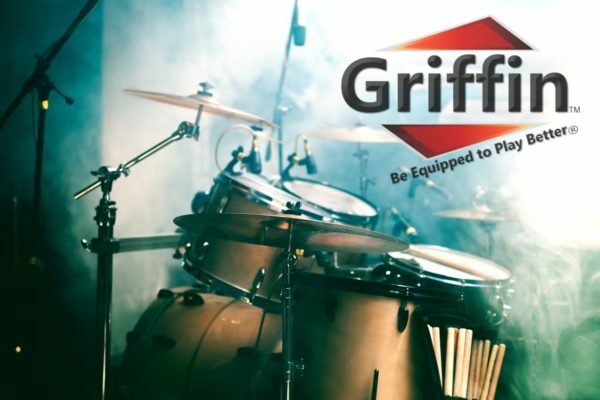 If this professional drum has any part that fails, then simple submit a request for a replacement. With nothing to lose, place your order today! 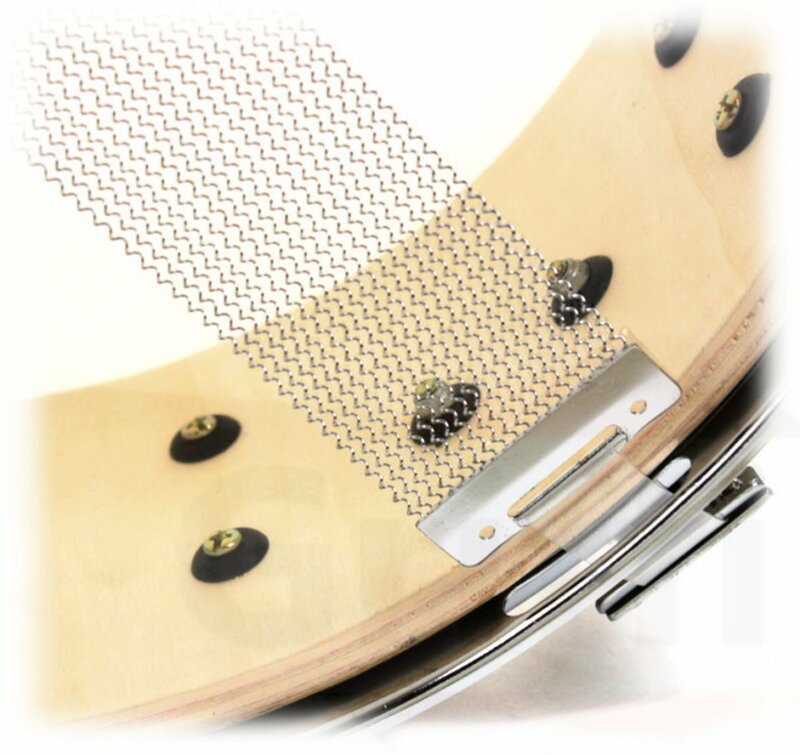 Piccolo snares feature a thinner body depth than regular snare drums to provide a most unique, bright attack, high pitched yet sensitive sound. 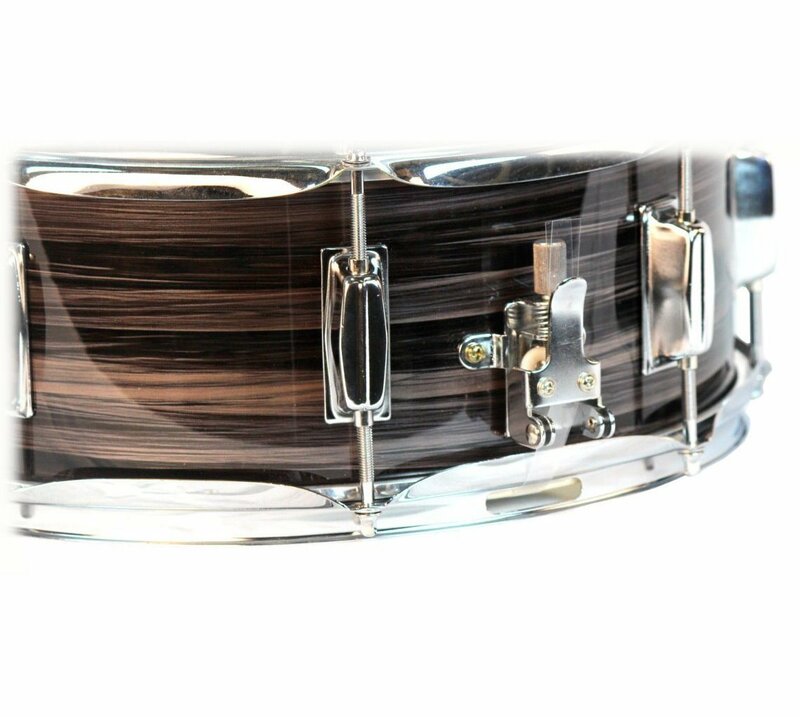 Such great versatility is added with this black hickory wood finish piccolo snare drum as you decide whether you want a new primary snare drum or a secondary snare drum with an amazingly bright tone and brilliant attack. We know that you rely on your snare drum to provide a punchy sound and this black hickory wood snare drum will not disappoint! 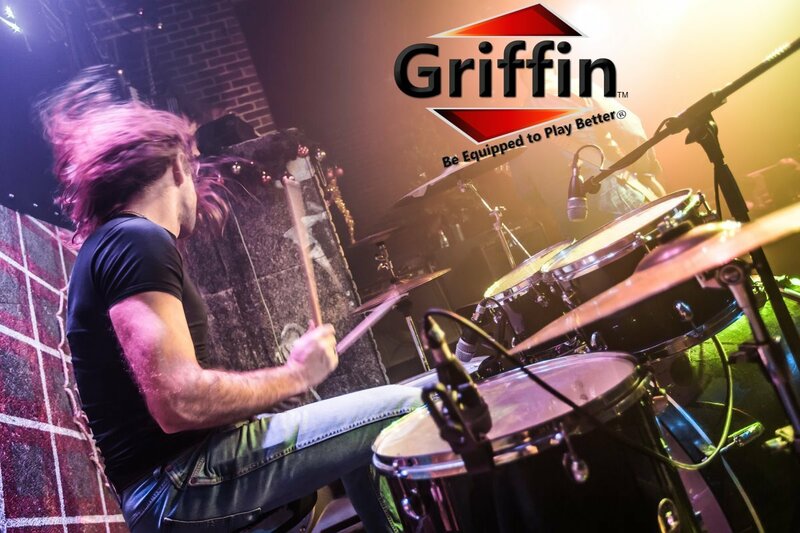 With a sharp, aggressive attack and powerful punch, Griffin’s black hickorywood 14” snare drum features eight (8) tuning lugs for a more stable, higher quality sound when compared to other six (6) lug drums.